Breast Cancer Awareness Month has arrived and once again Tiger Plumbing, Heating, Air Conditioning & Electrical Services is supporting awareness efforts. If you live in the St. Louis Metro-East area you’ve undoubtedly seen Tiger’s amazing pink and white trucks (and our orange and black trucks are pretty awesome as well). These fun pink trucks are designed to help support cancer awareness efforts. A portion of the profits earned from these trucks are donated by Tiger to help support these efforts. Our pink trucks are out on the road every day, earning money for this great cause. Plus, customers can even request to have a pink truck be used when they make a service appointment. Since it’s October, we here at Tiger have decided to do something a little extra special, to help show our support for Breast Cancer Awareness Month. In addition to having our pink trucks out and about, working overtime, our technicians have traded in their orange shoe covers for bright pink ones. 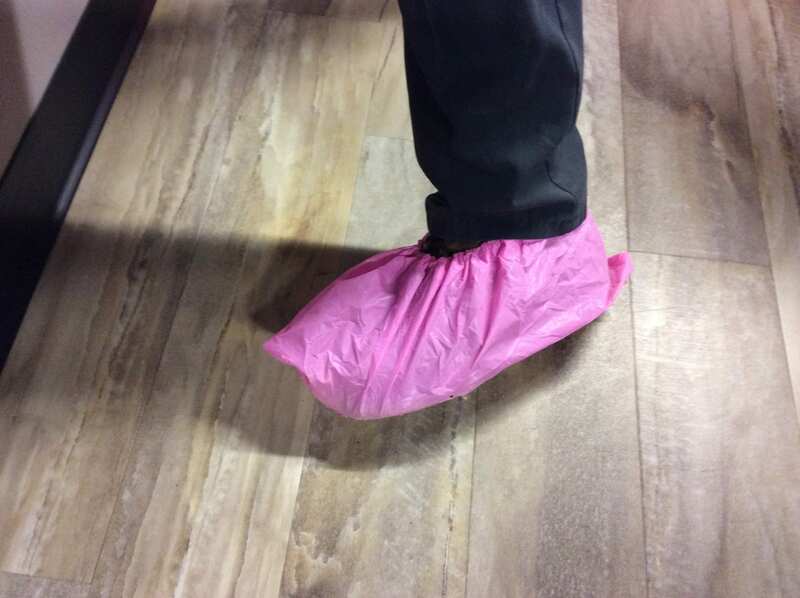 Our techs are going to be rocking these pink shoe covers all month long! Want to see these amazing pink shoe covers in person? Call (866)844-3770 or visit TrustTiger.com to have one of our Plumbers, Heating and Air Conditioning Technicians and/or Electricians come out to your home and address any issues or concerns you may have. And remember to request a pink truck!